Sometimes when I’m making something for the family, I have to check to see if I’ve posted the recipe yet. Usually when that happens, it means I haven’t. And that always come as a surprise to me. Which is exactly the case with one of our favorite breakfast goodies – Oatmeal Breakfast Bars. We’ve all loved these bars for a long time and they’ve proven to be a big hit with my menu planning customers as well. Why I haven’t posted the recipe before is beyond me, but I figured it was about time I rectified that situation. Oatmeal Breakfast Bars are tasty and filling. They’re consistency is somewhere between a granola bar and a baked oatmeal. Even people that don’t enjoy traditional oatmeal (that’d be me) should enjoy these bars. And best of all, they are super easy to throw together and make a perfect breakfast-on-the-run. 1. Dump all the ingredients into a large mixing bowl. 2. Stir, by hand, just until completely moistened and combined. 3. Press into a greased 13×9 casserole dish and bake at 350 degrees for 20 to 25 minutes. Let cool completely before cutting into individual bars. ~ I’ve always prepared this recipe with 1 full cup of liquid. However, I was running low on oil today and had no applesauce in the house. So, I used 3/4 cup of oil and the bars turned out great! Also, as you can probably tell, I usually use some applesauce in place of some of the oil. ~ If your family isn’t too keen or raisins, you can substitute with other dried fruit. Or, if you’re especially daring, I suppose chocolate chips might work as well. ~ These bars freeze beautifully. I usually wrap the cooled and cut bars individually and then freeze. They can be thawed in about 2 hours, or if you’re in a hurry, cook in the microwave on the defrost cycle for about 20-30 seconds, depending on the size of your bars. Stop by Balancing Beauty and Bedlam for Tasty Tuesday and Blessed With Grace for Tempt My Tummy Tuesday. *sigh* These look so good. I think I have all the ingredients except the raisins…. I really think my kids would love these! They would make a great healthy snack as well! I think I’ll make these for breakfast tomorrow! Sound so yummy! Looks great! I’m not a big fan of dried fruit in my bars…I’m thinking I may try this without adding anything extra. I think I have all the ingredients…may do it for breakfast tomorrow. Thanks! I am sure I can figure it out once I make these, but how many bars do you typically get out of one batch? My family will love these! I almost made these this morning but I was worried I was just a smidge tight on time, so I stocked up on mini bagel breakfast sandwiches for the freezer, and I’m going to make these tonight. Thanks for sharing! These look great. I love oats, I’ll have to bookmark and try these next week, on my baking day. I’ve got some of these in the oven now! I made a half-batch since there are just two of us. Yum!! This comes at a great time! I’ve revamping our breakfasts and I’m looking for some new ideas. Thanks for sharing this one!! Your breakfast bars look delicious! What a great idea!!! Oh, these look really yummy! These look delicious. I think they’d make a great snack. Lots of possibilities on things to add. 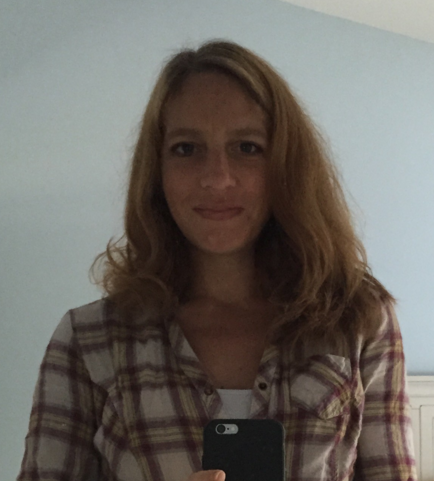 Thanks for sharing – I just recently discovered baked oatmeal and can not get enough. I think this will be a nice thing to alternate – so I don’t get burned out! Looks super-yum! Just did your bacon, cheese, egg biscuit cups today using a couple tubes of Grands flaky layer biscuits…so far of the ones that have tried them I am getting positive reviews so they will be done again. I saw this yesterday and had to try them. I’m not a huge fan of raisins, so I substituted dried cherries, dark chocolate chips, and toasted pecans. Delicious! It’s like our family’s favorite cookie! Just made these and they are delicious. I used craisins and added 1/2 c coconut. YUM! These will be great for breakfast this last week of school when we are running late out the door. It is understandable that cash makes people independent. But how to act when someone doesn’t have money? The one way is to try to get the credit loans or just small business loan. Just popped these in the oven. They smell great and the 3 yr old had a great time helping. Made a few substitutions as well. I added ground walnuts and peanut butter (about 1/3 cup each) and used a mix of craisins, raisins and chocolate chips. We are heading out on vacation next week (including a long road trip) and I am excited to have these along. Just made these last night and my kids gave them 4 HUGE thumbs up!! The only changes I made were added ground flax seeds, dried cranberries and mini choc chips! Super yummy…thanks for the great recipes! I love that these are a chewy granola and not crunchy. I made them healthier by using 1 cup of honey in place of the sugar and used half the brown sugar. 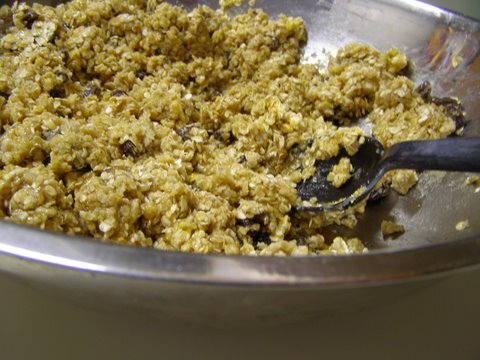 I used the recipe as a base and added millet and sunflower seeds and tossed in chopped nuts. Next time I will use dried blueberries and unsweetened coconut. 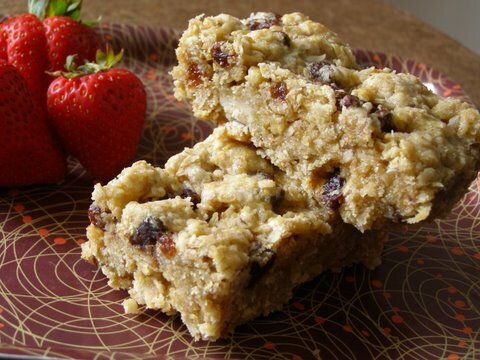 breakfast bars are the best stuff that can give you energy in the morning . My daughter and I make these all the time. We now live miles a part. It’s so much fun to share recipes. We use 1 cup applesauce instead of the oil. We also love eating them frozen. Thank you for sharing. I just wanted to let you know I still love this recipe. I love this recipe and have been using it on a weekly basis for our family of four. Thank you so much for sharing! I made a few tweaks, that I would like to share…I substituted white whole wheat flour for reg. 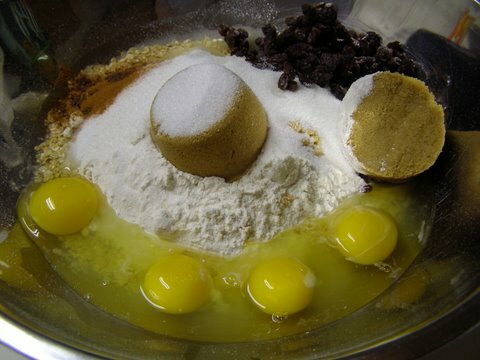 flour, cut out the 1/2 c. of white sugar and added 1 and 1/2 c. chocolate chips (I love a little chocolate for breakfast! ), as well as 3/4 c. walnuts. We like to eat them straight out of the freezer, which keeps them tasting fresh! You are my new best friend – I tried the recipe and it was AMAZING! I actually halved it (there’s only two of us in the house). Thank you so much for this DELICIOUS recipe! I’m going to make these tonight only with gluten free flour. I’m eager to see how they turn out. Thanks for sharing! Just noticed I posted a year ago when I made these for our last road trip. Made them again! Added some peanut butter and nutella, raisins, chocolate chips and peanuts. Such a great snack to take along with us! 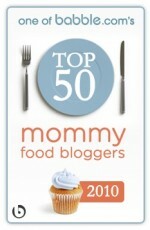 I like Your Article about Oatmeal Breakfast Bars â€” Cooking During Stolen Moments Perfect just what I was searching for! . Hello, My Mom recommended I might like this website. They were totally right. This site, actually made my day. You can’t imagine just how much time I had spent looking for this type of good information! Thanks. These are definitely going on my Pinterest! hello i just made these anxious to tey:)do u no the nutrition facts? I made these last weekend and have been eating them for bfast every morning! Sooo good! I swapped out raisins for Craisins and even my picky autistic boy loves them. I take a couple out of the freezer at night and throw them in the fridge and they are ready to go by morning. I take a frozen one and throw it in my little guys backpack in the morning and by late afternoon it is perfect for a snack in the long car ride home from daycare. So glad I found you and this recipe, thanks!! I made these with a few alterations and they were delicious! I used whole wheat flour and I added craisins. I also made a confections sugar glaze which I drizzled on top for that extra sweet touch! i know this is a long shot but by chance do you still have the recipe for the glaze ? I did about 1 1/2 cup confectioners sugar 3 tbsp milk and a 1/2 tsp of vanilla. Adding more sugar will thicken it up. Just stir it together. Should work out well and makes about 1/2 cup of a glaze. Just made these with chocolate chips, reeses peanut butter chips and greek yogurt instead of oil. Also egg whites instead of the whole egg! Yummy!!! Glad to be one of many visitants on this awesome web site : D.
These are so yummy!!! My kids are going to love them. I had to halve the recipe because I didn’t have enough eggs, and I can’t wait to make more!!! Best bars ever!!! I needed to find a way to avoid using instant oatmeal packets, and this is a yummy way to utilize my quick oats. Found AND tried this recipe this morning (I didnt have enough raisins, filled in with about 1C Craisins) and it was FREAKING AWESOME!! Oatmeal is tough to sell to my 2 sons and hubby: but They LOVED it. OK – now that I’ve made it “according to directions” will modify a little each time I make it: First trying Egg Beaters, then cutting out the white sugar, next will be Whole Wheat Flour, then adding Flax & nut butter, also want to try Coconut as someone posted here. I also made it in a deep stone – I like mine to travel, like a cookie, and they were a little crumbly/gooey for that…next time in a Stone Jelly Roll that’s been pre-heated. THANK YOU for sharing this PHENOMENAL recipe. These are cooling as we speak. I also made some substitutions. I only had a cup of raisins, so did half of a cup of chocolate chips. Also had 1/4 cup of maraschino cherry syrup leftover from my cherry chocolate cupcakes, so used that and 3/4 cup oil!! They smell amazing!!! Can’t wait to try them. My 4 year old niece is so excited!! These turned out beautifully! Thank you for the perfect recipe! Uh oh, I just put mine in the oven and it looks a little…. Wet. I wonder what I did wrong. naturally like your web site however you have too take a look at the spelling on quite a few of your posts. the reality thgen again I’ll surely come again again. Just made these and had one while it was still oven-warm! Oh my, it was good! We don’t like raisins or much cinnamon so I subbed dried mango and a tsp of vanilla (added to eggs so it would blend in) and also added a half cup of coconut for a tropical flavor. Used your recommendation for only 3/4 cup of oil. These will be a regular in our house. Will try freezing them so I can take them to work for a breakfast/snack. Next time will increase fruit to 2 cups I think and increase coconut to a cup. Thanks for sharing!